This year, 43 cases of polio were reported in Nigeria, a drastic increase from 11 cases last year, reports BBC News. In 2003, the northern Nigerian state of Kano backed Muslim religious leaders in opposing an immunization program on the claim it was a Western plot to make people infertile. Health experts say this led to many people becoming infected by polio, and the clerics and state government dropped their opposition to the immunizations. While the current numbers show a notable increase, Moran serves as a reminder that the number of infected is still low. “You can call it a four-fold increase, but it is still very low transmission in a country as large as Nigeria with almost 50 million children under five,” he said. Nigeria is one of four countries in the world – along with Pakistan, India and Afghanistan – where polio is still a major health risk. 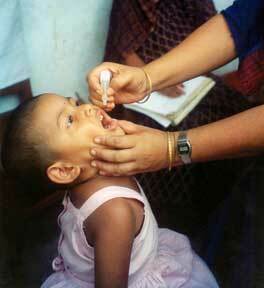 Read more facts about polio here.